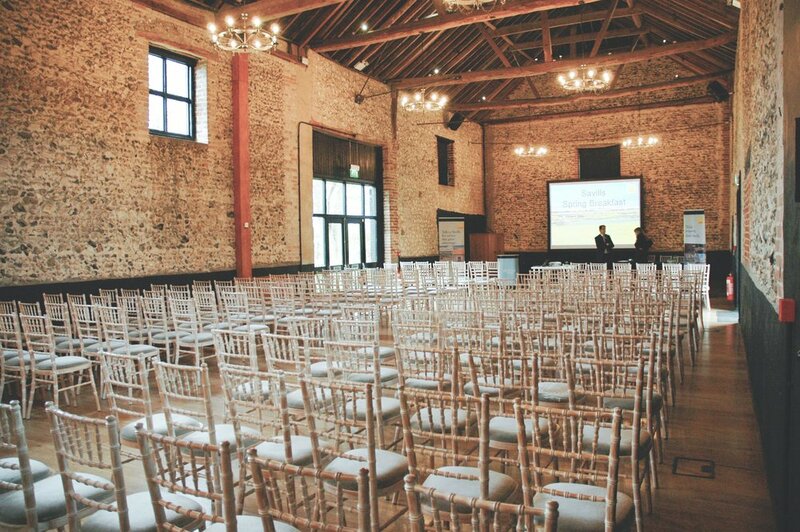 The Granary Barns offers a truly unique and exciting setting for your next corporate meeting in the Suffolk/Cambridgeshire border. The Granary Barns can be found just 4 miles from Newmarket, an established Suffolk town with thriving local businesses and trades. With excellent transport links to both Cambridge and London, we welcome clients all year round to host their conferences, seminars and team building days with us. The Granary Barns can accommodate all event set ups ranging from theatre style seating, cabaret formation and U shape options. We can tailor the whole event to your exact requirements and can provide additional support in event management, catering, facilities and equipment. Our facilities include Wi-Fi throughout the venue, wireless microphones, PA system and event stationary. Our Events Team work closely with our trusted, local suppliers to ensure everything runs smoothly both before and on the day of your event. If you’d like to find out more about our Corporate events, take a look at our 'Conferences & Exhibitions' page by clicking HERE. If you would prefer to speak directly with a member of the Granary team and discuss your upcoming meeting, call our office on 01638 731230 or email info@thegranaryestates.co.uk. Older PostA real life Pinterest Board!